This Thanksgiving brought even more reasons to be grateful than before. My little “pumpkin pie” Summer Rose decided to try out Grandpa’s treadmill and my poor baby slipped and was scraped all over. The treadmill was backed into a corner, so when she fell, her legs were pushed up the wall and her chin and neck were stuck on the sandpaper-like fast moving tread. Fortunately, my brother in law Damon (sister Sherry’s husband) was able to run, grab her and pull her off. We rushed her to the E.R. , where she had her wounds cleansed and dressed. I am so thankful that Damon was in the game room when this happened, or her injuries would have been a lot worse. I am thankful for the Doctors working on Thanksgiving and for their tender care toward my daughter. The hardest thing about being a mama is seeing my kids hurt. There is nothing more heartbreaking for me. I do not know how people handle these things without the Lord. Truly, I cannot fathom it. I am so thankful the Lord hears our prayers, calms our fears and is in control. It’s very calming to know God’s mercy surrounds me and my loved ones. Summer is doing better, she has been to the doctor 2 more times to follow up on her healing wounds and to make sure infection does not set in. I would so apprieciate your prayers for a speedy recovery for her! Poor baby. These are times where, as a mama, I get to pamper, coddle, and comfort my little one with gentleness and understanding….and lots of hugs and ice-cream. As soon as I get settled, (just a few days) I will be back into the Christmas swing and share all that twinkles, sparkles and shimmers in my home! So glad the injuries were not TOO serious, and glad to you are near to an ER. Keep away from exercise equipment! After all, didnt the apostle Paul say “Bodily exercise profiteth little” ??!! I certainly will be praying for your dear Summer Rose! Poor Summer, I am glad to hear that she is on the mend though.. You are all in my prayers. Your daughter will be in our prayers. My oldest daughter was hurt when she flew off of the back of my dads treadmill years ago. Kids don’t realize how badly they can get hurt on something that looks so fun. I’m glad she is doing better and hope she recovers quickly. I cannot fathom it. I am so thankful the Lord hears our prayers, calms our fears and is in control. So sorry about Summer Rose but like you thankful because it could have been so much worse. God’s mercy does shine doesn’t it? I don’t know what I would do without my Jesus. I would love it if you would stop by sometime. How scary that must have been for all of you. Please give sweet Summer Rose a hug from me and I will pray for her complete and speedy recovery. Poor Summer. Glad to know she’s okay. She’s so sweet, her poor little face :-(. Hope she’s feeling better. So thankful she wasn’t hurt worse. My little one did that when he as about 3 but there wasn’t anything behind him so he just flew off. Another good reason to stay away from exercising. Bless her heart! Hope she's as good as new real soon! Those treadmills can be tricky. I know when I'm on mine I have to hold on for dear life with both hands. Your poor baby! I am sure it was very painful! I am glad to hear she is doing better…nothing like being in the ER on Thanksgiving…I’m sure she’ll always remember THIS Thanksgiving. Welcome home RuthAnn! I’m glad you all had a good Thanksgiving and feel for your baby girl. It is so hard to be a Mom and watch our children get hurt from time to time. I know that feeling all too well. What a blessing that she was not hurt any more serious! Oh dear heavens! I’m so sorry to read about Summer’s injuries. Thank the Lord that her uncle was there. Prayers for a quick recovery for body, mind, and spirit. Hugs for you, too. I know how hard it is to see a child get hurt. So happy to hear that Summer is doing well. Hope you have a quick recovery! have a wonderful week. Sorry to hear about your daughter. I hope she has a quick recovery. 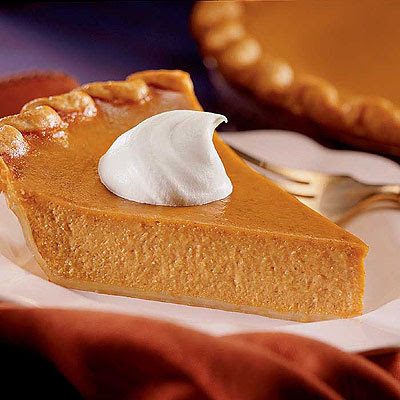 That pumpkin pie looks delicous.Take care. I know you’ll enjoy nursing your daughter back to health. I know as moms, after an event like this, we think about all the “what ifs”. I am glad you let us know so we can pray whenever we think of Summer. Poor Summer! Praying for a quick recovery sweet angel. It’s so hard to see little Summer Rose without a smile on her face!! I do hope she gets better quickly. Oh, I have almost had an accident on my treadmill and it is very scary. I pray for a quick recovery. My 19 year old son had a traffic accident yesterday (someone ran into him on ice). I thanked God again for guardian angels. I’m so sorry about Summer Rose’s accident but thankful it wasn’t worse…Isn’t it wonderful to live in a country that medical aid is available? Yup! I knew it! Exercise is DANGEROUS. Hope she recovers quickly. Poor little thing. I will keep your Darling Girl in my prayers. I have endured many trips to the ER and surgeries with my 3 children. The Lord is indeed merciful. By the way, I tried your Aunt Ruthie’s Butter-Crunch Pumpkin Bars this Thanksgiving and….well,it was so good that my Husband wants to marry it!! LOL Boy, it was good! You are just adorable and I am looking forward to visiting your blog and viewing your Christmas decor! P.S. We are going to Disneyland next few weeks…are you sure they won’t let me live on Main Street? LOL. Just thought I would check! I am glad that your sweet little girl is okay. That had to hurt I actually fell asleep one morning on my treadmill and I hurt my hip so bad. So I can somewhat sympathize with her.Prayers she will heal quickly. The Lord does hear and answer our prayers. Great to have you back. Looking forward to more posts from you. Bless her heart! I’m so glad she’s doing better, and will definitely be praying for her, and you, as well! I think these things can be more difficult for the mamas sometimes! Praying for your continued strength. I have been reading your blog for about a month now,I dont not have a blog of my own, but have been seriously thinking about it. Anyway, I too live in mo. Independence to be exact. I love your home! Your decorations are a reflection of what’s in your heart! Keep up the wonderful inspiring pics, and tips. Poor Summer! It makes me hurt just to hear about it. My son has injured every part of his head (in separate incidents)except his ears when he was little. He was always getting injured and I still worry about him even though he’s 24. My eyes are filled with tears and my heart is filled with prayers for the both of you! I know how hard it could be too worry as a Mom! But I too have often thought how do people who do not know the Lord get through things, I just cannot imagine it, but your words are words I will keep close to me when you said * the Lord calms our fears*….he does indeed! Take care of sweet Summer, take the time you need to get back into the swing of things, and we look forward to you posting during this Blessed Christmas season. Bless her heart. This exact same thing happened to my nephew when he was younger. Those treadmills go say fast and their little feet can’t keep up. Happy to hear she is doing well. You’re a wonderful Mama…that is so evident in the words you speak/write. Looking forward to seeing your Christmas decor. Oh RuthAnn, Summer Rose is now in my thoughts and prayers for a speedy recovery. What a frightening experience. Sweet babe. Looking forward to seeing more of your beautiful home! sweet little sunmmer, feel better soon! So sorry to hear about Summer. My second oldest son did something similar when he was about 5. I was on the tred mill and he was laying on the floor beside me watching tv. He put his arm up and got it caught under the tred. It burned all the skin off of his hand. Ouch! He was okay but it took a few weeks. I’ll keep little Summer in my prayers. With a great Mamma like you I’m sure she’ll be fine in no time. I can’t wait to see your Christmas decorations! The Lord is good and His mercy endures forever! How wonderful that in His Providential care He had someone there to help her. I believe this calls for a big plate of Snickerdoodles and hot cocoa with some merry mallows!Maybe also a wonderful Christmas story all snuggled up in front of the fire! Praying for a quick recovery and maybe some snow too! Poor Summer! Get well soon! But thank you for posting a picture. I’ve been trying to warn my 9yo son about the treadmill being too dangerous for him, and now I can show him just what can happen. I will be praying for Summer that she will heal quickly and have no lasting scars. That is sooo scary when something like that happens to your child. I’m so glad she will be ok. I’m sure it’s so comforting to her to have her family around her. Glad you are back in town. I’m looking forward to seeing your Christmas decorations. I’ve started a new blog. Hope you will all visit me sometime soon. Till then….. I’m too blessed to be stressed and too annointed to be disappointed. I am so sorry to hear about your sweet Summer Rose! I will be praying for her to be better soon!!! You are such a good loving momma!!! You are so right, the Lord calms our fears and God is so very merciful! I am so thankful I have the Lord Jesus as I could not make it through a moment without Him! I am so very blessed by you and your blog, your love for the Lord, your home and family is such a blessing! You are so encouraging and I thank you for all you share from your heart! Your home and family are so beautiful! May the Lord Jesus bless you all! So sorry to hear that! Sending prayers her way! Oh my goodness! I pray that Summer is feeling better very soon! I just know your holidays will be filled with lots of baking together! Nothing heals a body better than a few delectable baked goodies! Poor Summer – how awful! Glad she is OK and Lord willing, will be all healed up for Christmas. Poor, sweet girl! I’m sure glad she has a loving family to give her kisses and love, and to take care of her! That picture nearly broke my heart!! Just said a prayer for your darling Summer Rose (what a gorgeous name, by the way!) and will keep her in my prayers as well. Hope you enjoy a few “down” days to relax and “get all better”! Summer Rose, Hope you feel better soon! Poor thing! That sounds like something that would happen to me! Bless her heart! I will say a little prayer for her! Poor, girl. I think that kind of “burn” must be incredibly painful. The same thing happened to my daughter, and a patch of her thigh was rubbed raw. Oh i am sorry to hear of Summer’s accident..praying forher for a speedy recovery. How frightening for her. How precious is that photo of your two darling girls together. Oh! I just want to scoop up your daughter and give her a big hug! Poor thing! so glad that her hero was there to save her from nastier injuries, and i am praying as I write this for a quick recovery. I wish you and you`re family a blessing Christmas holiday! Poor baby! That must have frightened the heck out of her! I was very glad to hear that someone was there to see it and help her quickly. And also that she is recovering well. Hugs to you too. It is so difficult to see your child hurt! Summer Rose is in my prayers! Aw, I am so sorry to hear Summer got hurt! Poor girl! The pic of her and her sister is just too sweet though :). Summer – just rest and let your mamma take good care of you!! Hope you feel better soon! My stars and garters! I knew those exercise contraptions would be a menace to polite society – just get out and walk in God’s beautiful world, that what I always say! No need for a fancy doohickey! I pray Summer Rose is well on the way to healing! I’ve been treating a bad rug burn here with nice soothing vitamin E oil and it’s healing up so fast I can see the improvement by the hour! Isn’t God good to make us all so tough for this rough and tumble world? I am so sad to hear about Summer! What an unsettling day you guys must have had – especially away from home. I hope she's doing much better & we will certainly pray for her. Please give her a BIG HUG & KISS from her SUEY. I am calling Shannon right now to tell her to keep Kayleigh away from her treadmill!!! RuthAnn, I thank God that Summers injuries were not too serious. Tread mills are so dangerous! When my daughter was 4 years old she was playing in the room while I was on mine. In the blink of an eye she had laid her had on the moving tread and it pulled her hand into it. We were lucky that nothing was broken, but now that she is 11 she has had surgery to repair scar tissue from the original injury. I just wanted to stop by and tell you how much I love reading your blog. Your house is beautiful! I am so sorry for Summer, poor little girl! Glad to see that you’re home again; “There’s No Place Like Home”! was sorry to hear about your daughter’s accident…will keep her in my prayers for a speedy recovery. I so look forward to the next couple of weeks and reading about your household in these days leading up to Christmas. I love Christmas and am so thankful I found your site; you are kindred spirits with so many people! Oh, wow…I will be praying for your little precious girl. How cute are your daughters! That picture is adorable, even though I am so sorry for Summer Rose. Sisters though thick and thin. I hope that she is not in pain. We will be praying for her quick recovery. She is so blessed to have you and your wonderful family to help her recuperate. Blessings to you all. Hope you get better soon Summer. You are amazing! I continue to enjoy your blog and love your decorating style. Merry merry!